wait you guys don't make characters just to brutally murder them in a visceral display? Regeneration isn't something meant to be used in combat anyway really. Most Time Lords have several hundred years between regenerations, the Doctor's actually an aberration. Admittedly, the most action most Time Lords see is dusty corridors, but still. I might have a "cooldown" just in case. seriously though you guys don't just butcher your characters? I mean, after regeneration, Time Lords are usually pretty out of it for a good while. The effects are countered by things like Zero Rooms, but there's literally no way that a Time Lord could regenerate more than once in the span of a day or so without suffering massive mental issues. I make a habit of killing or maiming characters I make usually in a gory spectacle. Which would make for some good character arcing. I don't make characters for the purpose of either destroying everything I meet or massacring them. I make them because I think that I'll enjoy playing them. I tolerate combat in these sorts of RPs, but it's never been my main focus. On the long-deleted forums I started out on, we might have a single fight every other week, and it would end very quickly. We also used a system where the GM decided what hit and what didn't, so there wasn't any one-up-manship autododging/hitting, like there often is here. One time on the LMBs, I made the mistake of joining an ongoing RP with characters who weren't gods. They were dead within about five posts. Oh it started like that. I just get so many concepts. He'd entered into a healing coma. If it weren't for Grace, he would've been fine. I did. I was adding extra info. And since everyone else also known as meepinater is creating doctor who characters I will! If @meepinater's going to be a dalek I'm going to be a cyberman! 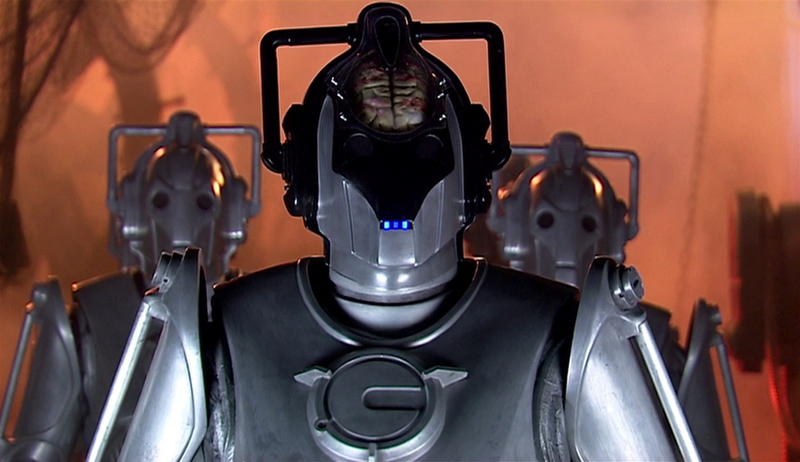 Yeah and how cool were cybermen in that!